Unless Parents observe other areas of "slowness" during early development, they may hesitate to seek advice. Knowing what's "normal" and what's not in speech and language development can help you figure out if you should be concerned or if your child is right on schedule. It's important for kids below 12 months of age to be watched for signs that they're using their voices to relate to their environment. Cooing and babbling are early stages of speech development. As babies get older (often around 9 months), they begin to string sounds together, incorporate the different tones of speech, and say words like "mama" and "dada" (without really understanding what those words mean). Before 12 months, children should also be attentive to sound and begin to recognize names of common objects (for example bottle, ball, etc.). Babies who watch intently but don't react to sound may be showing signs of hearing loss. Kids by the age of 12-15 months should have a wide range of speech sounds in their babbling (like p, b, m, d, or n), begin to imitate and approximate sounds and words modeled by family members, and typically say one or more words (not including "mama" and "dada") spontaneously. Nouns usually come first, like "baby" and "ball." Your child should also be able to understand and follow simple one-step directions ("Please give me the toy," for example). 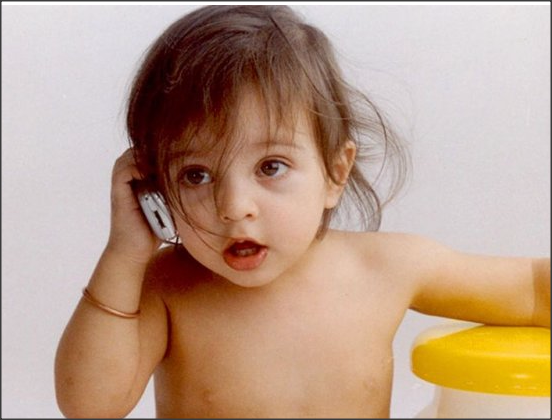 Most toddlers are saying about 20 words by 18 months and 50 or more words by the time they turn 2. By age 2, kids are starting to combine two words to make simple sentences, such as "baby crying" or "Daddy big." A 2-year-old should also be able to identify common objects, common pictured objects, indicate body parts on self when labeled, and follow two-step commands (such as "Please pick up the toy and give it to me"). Speech delays in an otherwise normally developing child can sometimes be caused by oral impairments, like problems with the tongue or palate (the roof of the mouth). A short frenulum (the fold beneath the tongue) can limit tongue movement for speech production. Many kids with speech delays have oral-motor problems, meaning there's inefficient communication in the areas of the brain responsible for speech production. The child encounters difficulty using and coordinating the lips, tongue, and jaw to produce speech sounds. Speech may be the only problem or may be accompanied by other oral-motor problems such as feeding difficulties. A speech delay may also be a part of (instead of indicate) a more "global" (or general) developmental delay. Hearing problems are also commonly related to delayed speech, which is why a child's hearing should be tested by an audiologist whenever there's a speech concern. A child who has trouble hearing may have trouble articulating as well as understanding, imitating, and using language. When there seems to be a delay, a proper investigation has to be done to find the actual cause. If the problem is just a functional disturbance the best treatment option would be homeopathy. Best results are achieved by proper case taking and analysis of the case. Most success is from NATRUM MUR and CALCAREA CARB. Other remedies are also given in the repertory.